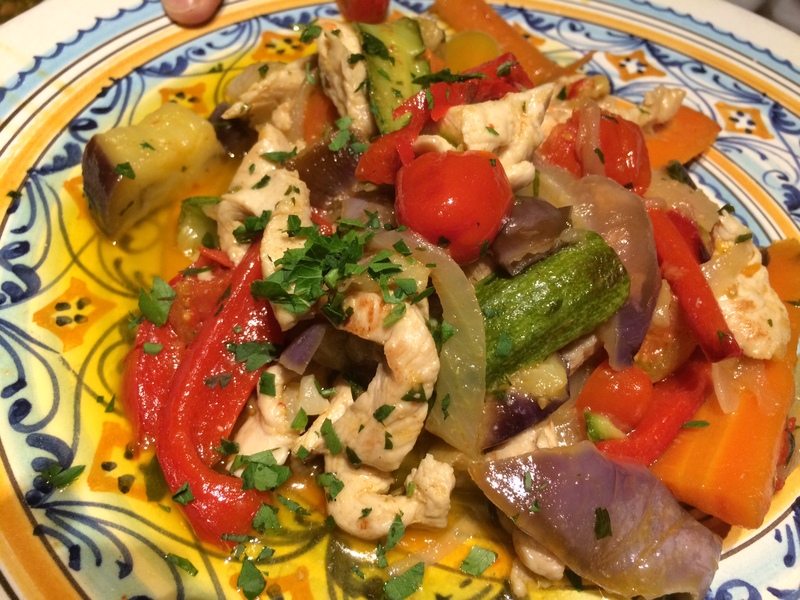 A chicken dish at Santo Spirito Osteria. Florence, Italy. 10 April 2015.